We’d love your help. 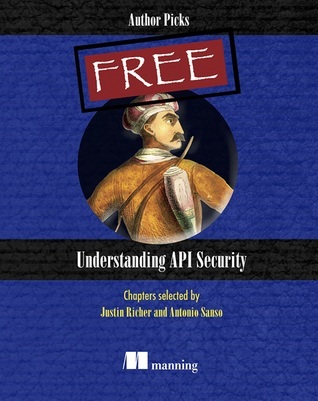 Let us know what’s wrong with this preview of Understanding API Security by Justin Richer. Gone are the days when it was acceptable for a piece of software to live in its own little silo, disconnected from the outside world. Today, services are expected to be available for programming, mixing, and building into new applications. The web-based Application Programming Interface, or API, is how services make themselves available in this dynamic world. By exposing a Gone are the days when it was acceptable for a piece of software to live in its own little silo, disconnected from the outside world. Today, services are expected to be available for programming, mixing, and building into new applications. The web-based Application Programming Interface, or API, is how services make themselves available in this dynamic world. By exposing an API, a service can find new life and utility far beyond what its core functionality was designed to be. But these APIs need to be secured and protected in order to be truly useful. An API that's simply left open to everyone, with no security controls, cannot be used to protect personalized or sensitive information, which severely limits its usefulness. To ask other readers questions about Understanding API Security, please sign up. Free book from Manning Editorial, it is made up of excerpts from different books, and, in the end, the different chapters are somehow unrelated. I guess it was a book whose only aim was the promotion of the other books.